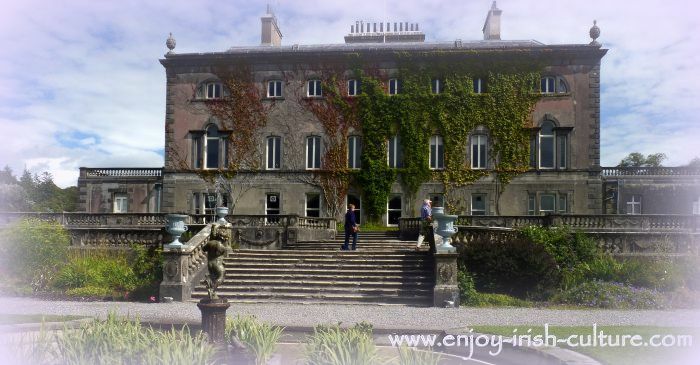 Westport House in Westport, County Mayo, is a great example for an Irish big house, and is not to be missed when visiting the West. The big house is set in an adventure park which attracts huge visitor numbers every year. As well as a visit to the house, you can partake in various activities such as pitch and putt, boat rides, slides, zip wire and more. The house itself has around thirty rooms open to the public which are furnished in period style and populated by wax figurines. It is fascinating to see the wealth and style the aristocratic owners of big houses lived in. There is a large collection of valuable paintings displayed throughout the house. To entertain the youngest there is a series of distorting mirrors and the basement features a dungeon with the model of a skeleton in chains- a fascinating sight for kids of course. Westport House is very well signposted. Make your way to Westport and simply look out for signs. The house itself features a Victorian kitchen turned into a coffee shop. There are public toilets. The house is not wheelchair accessible, and buggies have to be parked at the entrance. The park has a lot of facilities such as a restaurant, pub, and even a campsite. If you don't want to take in the adventure park, the house visit can be paid for seperately and came in at 12 Euros per adult in 2013. Otherwise, if you are buying a full day pass, the house visit will be included alongside all the activities in the park. If you are a fan of adventure parks, consider the membership option that gives year round access. 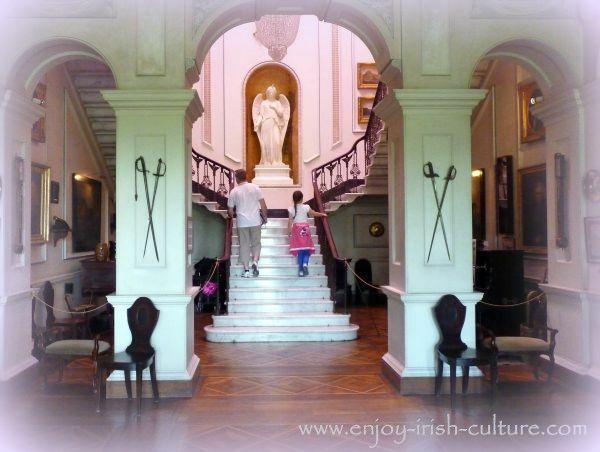 Historic Westport House is beautifully looked after by the owners and is an Irish heritage site really worth seeing. The house is unique in that its upkeep has been largely financed by the owning family themselves by running the estate as a successful business since the 1960ies. The dungeon, funny mirrors and some other features might not please the castle enthusiast- they are a matter of taste. But leaving that aside, the house is a cultural heritage gem and a must for enthusists of historic houses. The house is owned by the aristocratic Browne family who still live on site, but not in the big house itself. They are involved in the running of the adventure park and campsite. 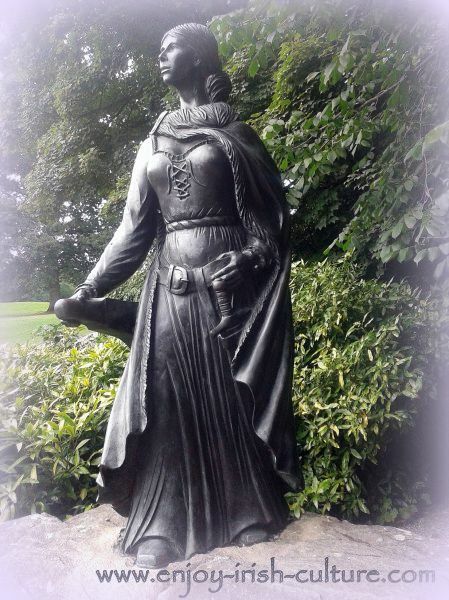 Here is a unique piece of Irish history associated with Westport House: the Browne family are descended from Grace O'Malley (1530-1603), the famous West of Ireland pirate queen, respected arch enemy of Queen Elizabeth I. Grace O'Malleys great-granddaughter Maud Burke married into the Browne family. The Browne family have commissioned a statue of the priate queen in the park. There is an exhibition in her honour in the basement of the house where the original 16th century foundations are still in place. Before the existing mansion which goes back to the early 18th century, two previous unfortified houses had been built on the site. Sculpture of Grace O'Malley, the celebrated priate queen. If you don't like the hustle and bustle of the adventure park (we don't), just buy a ticket to the house and nothing else. There is a coffee shop at the house where you can stop for a snack. Be prepared for a ten minute walk from the car park to the ticket office, and from there to the house. If you are bringing a baby, a baby carrier is a good thing to bring as the house can not be accessed with a buggy. 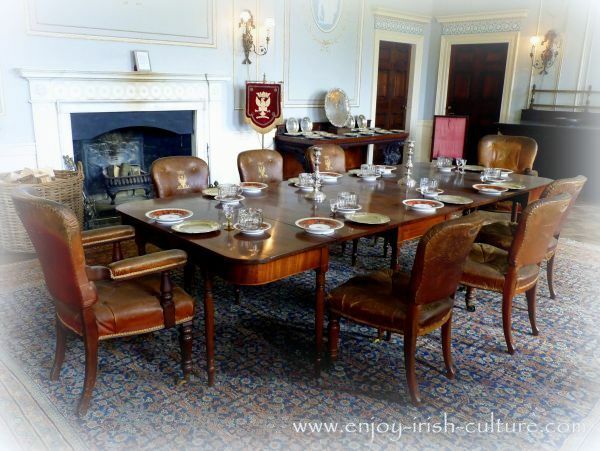 If you want to see another stunning big house of the same era and you are heading for Dublin, Strokestown Park House is a 1.5 hour drive from here along the N5 Dublin road. Check out the heritage village of Aghagower 8 km from Westport which features an impressive early Christian monastic site. The town of Westport is a lovely place to explore. The town is full of quaint shops and has lovely cafes and restaurants to stop for food. 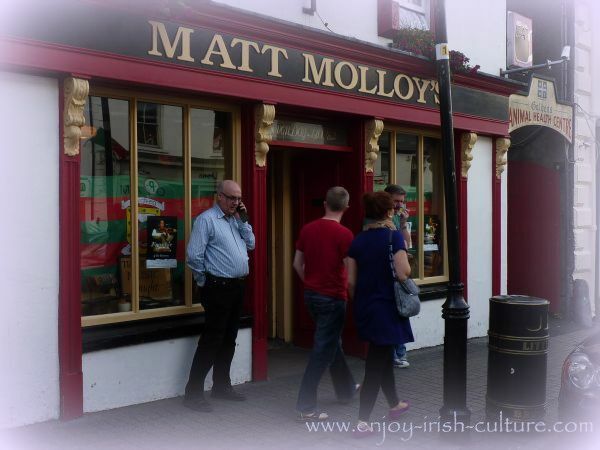 If you are lucky you might even catch Matt Molloy playing a tune in his pub up town. If you drive from Westport to Louisburgh, there are a few stunning beaches on the way, most notably Bertra beach. If you are in the area for more than a day, consider climbing the holy mountain of the West- Croagh Patrick. If you enjoyed this page please give us a social shout out using the options we provide here! Many thanks!